Have you ever left your smartphone at home while travelling? It’s something a lot of us used to do, but with smartphone cameras now as good as compacts and navigation becoming more common when on trips, hauling that £500 hunk of aluminium across the globe has now become standard practice. But what if it breaks? Here we have the Tech21 Impact Trio, which attempts the impossible: a protective layer for an additional 25g weight. While many other protective cases go for multi-layer (usually three) set-ups of plastic, rubber and silicon, the Tech21 Impact Trio opts for just one hard plastic shell coated on the inside with D3O, a well known shock-absorbing material often used in laptop bags. What we love most about the Tech21 Impact Trio is that it’s so easy to put on and off; it’s perhaps the ultimate occasional case. Once slid into the Tech21 Impact Trio, the cut-out for the camera on the reverse is the obvious place to slide a finger to gently lift out an iPhone. That’s important since many similar cases make retrieving the phone after a hike/holiday/camp a long-winded process. 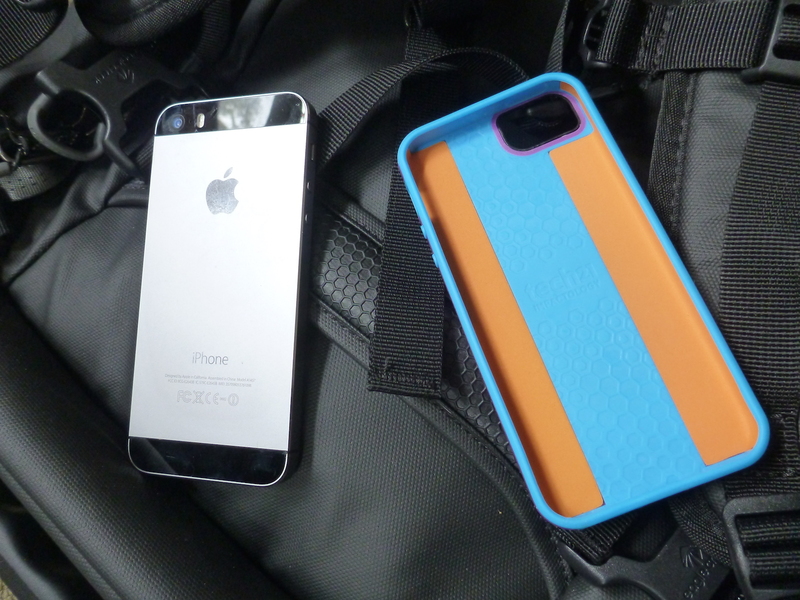 This simple one-piece jacket that protects only the back and sides of an iPhone 5/5s has that cutout for the camera lens and flash on the reverse, with gaps also provided for the ringer control, the headphones slot, speakers and charging port. The volume controls and the on/off switch get hard covers, which are arguably easier to operate with the Impact Trio in-situ than not. Now that’s great design. This is a very functional, well-designed case, with the bumper on the edges sitting just proud of the screen, which will prevent scratches and smashes if the phone is dropped face-first onto a flat surface. However, we’d advise adding a layer to the screen (Tech 21’s Anti Glare Impact Shield also has an anti-glare layer) to be really safe since gravel paths etc. could easily do for the screen. As well as the purple/blue sample we tried out, the Impact Trio is also available in both black/grey and white/blue.